What type of music do you think the TMNT characters listen to? Thought this would be a fun thread. 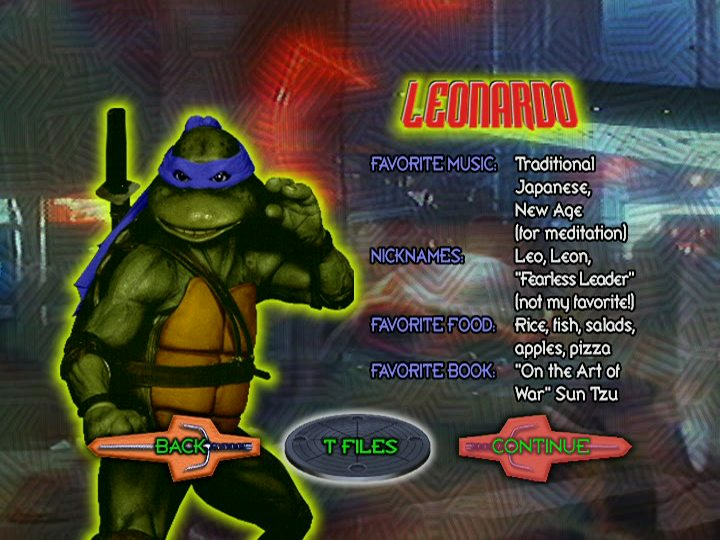 Leonardo: Probably would like some form of traditional Japanese music, but also would probably like rock music as well. Dunno really what, tho. I'm gonna say jazz. I can see Leo listening to Coltrane, Hubbard, Hancock, Davis, etc. Michelangelo: I guess he mostly sticks to pop music he'd listen on the radio. Pop, rock and hip-hop, mostly. 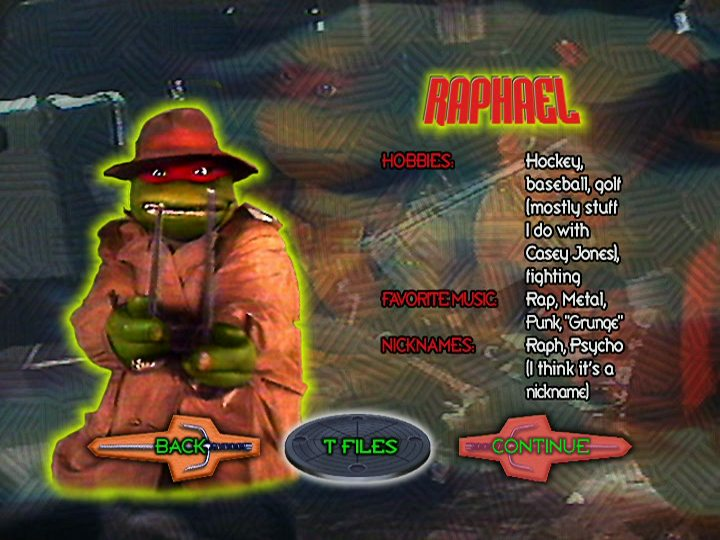 Raphael: Nu Metal and gangsta rap, I'd say. I bet he likes Disturbed, Korn and Slipknot. 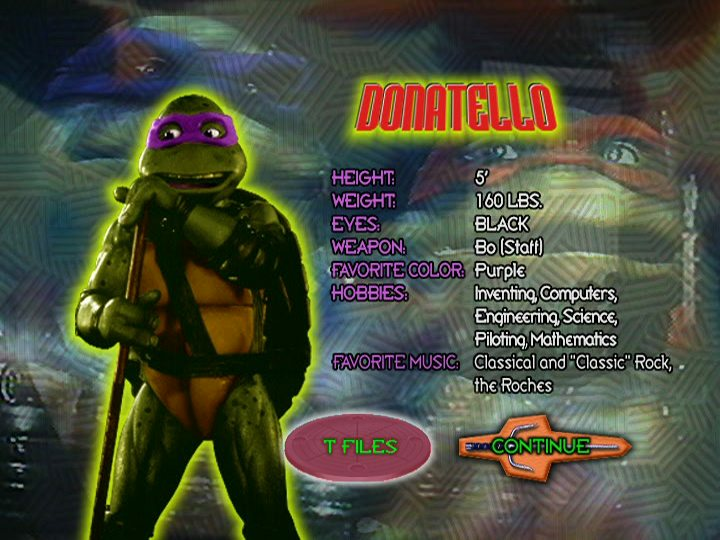 Donatello: I think Donatello would like progressive rock music such as Rush, Pink Floyd, Yes and Alan Parsons Project. I dunno why, I can just see him liking this stuff. Leo: Probably not too different from 2k3 Leo, imo. Raph: I think Fred Wolf Raph would be happy enough with whatever catchy stuff caught his ears. Mikey: Probably glam metal and hard rock like GNR and Van Halen. And whatever stoners listened to in the 80s/ealry 90s. Was reggae a popular thing already at the time? Don: I'm pretty sure he was listening to classical music on his radio in that Pirate Radio episode and then the radio kept switching to hard rock. So I guess he'd like classical music. Well I gave my best shot. Thoughts? I know I do, and I am not ashamed of it. So whatever was popular in 1984-87. They say whatever kind of music you're listening to at the end of your teen years is sort of going to be the way you're wired for a while. A lot of George Michael, Michael Jackson and Tina Turner, probably! Well, we know the Mirage turtles like Metallica & The Misfits, it's canon. To that point, the OG turtles seem to share the taste of the Mirage team, so you can work in other punk/metal acts of that era for sure. Each iteration is in many ways a product of its time, so I for the most part associate them with popular music/culture of their given periods. While they would probably like various genres, these are what I think they'd lean towards a group. 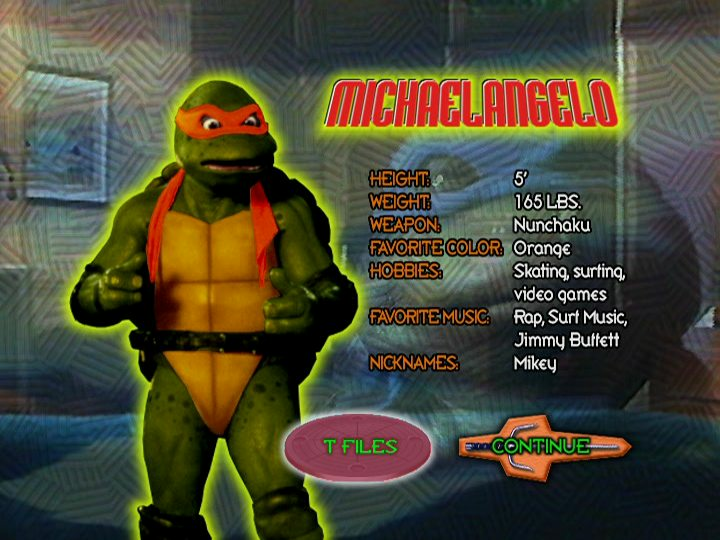 Bayturtles: Commercial rap & "dubstep"
Sure you could go the route of saying Leo the samurai likes traditional koto music, Donnie the tech wiz likes electronic music, Mikey the party guy likes anything with a good beat, & Raph the bully likes metal, but that's too on the nose, IMO. Probably accurate to a certain extent, to be fair, however I'd like to think they'd each have broader tastes 'cause I'm a big music nerd myself. I could definitely see the TMNT being into Wu-tang Clan, for obvious reasons, as well as The Ramones. Both are high energy New York staples who pioneered in their alternative genres. Well, we know the Mirage turtles like Metallica & The Misfits, it's canon. Original series Irma: 1950's and 60's rock (the Howie Hardy episodes make me think that). Just going on two eps of the Nick series (When they first got the Shellraiser and when they first got the T-POD) they seemed to like Rock type music. 1990 Shredder wanted to "conquer the world"? Did they even watch the movie? And regarding those supposed nicknames, I thought the Foot Clan was "family" and the Shredder was "father." He kind of did. He wanted his criminal syndicate to take complete control of every country. Boy, Shredder's a bit of an edgelord there, isn't he ? 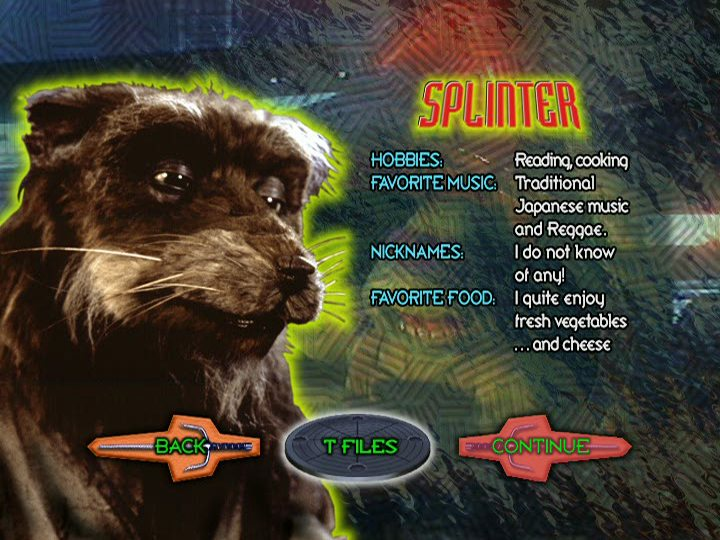 Did anyone else see the "dislike of music" for Shredder and immediately think of the "I Hate Music" bit from the Coming Out of Our Shells tour ? 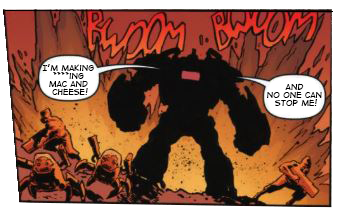 Granted, that was the entire plot, but still. Shredder not liking food is hilarious, they could have at least said he eats Japanese food. 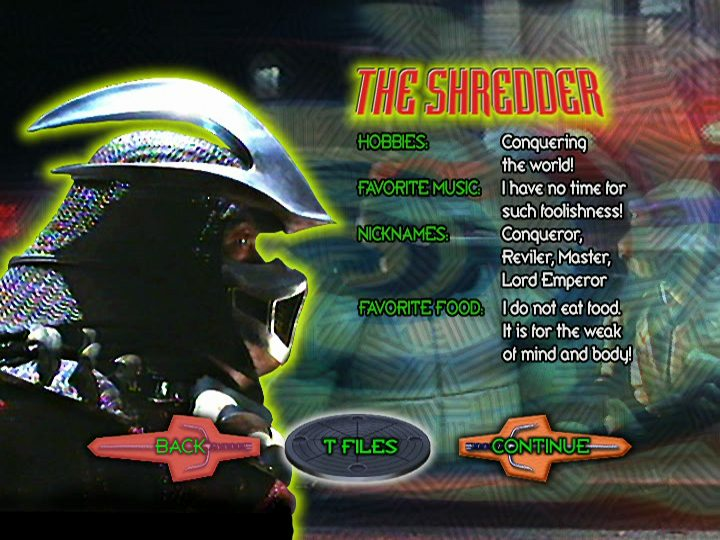 So 1990 movie Shredder doesn't eat? Too bad his superform was a serious downgrade by being easily overwhelmed by falling wood. That Shredder reminds me of orokusakishredder on this forum. Oh, geez, can a cheesy dvd extra really be the cause of such an obsession? The pieces of the puzzle are all falling together now.